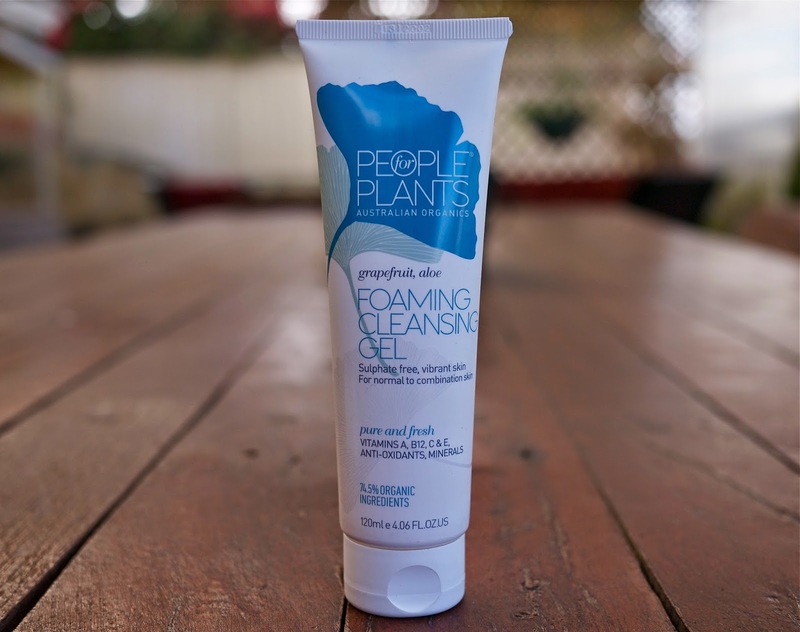 The People for Plants Grapefruit Aloe Foaming Cleansing Gel* is a sulphate free cleanser targeted to people with normal to combination skin types. Containing natural cleansing ingredients, this cleanser claims to never dry the face out whilst clearing the skin of make up, pollution and excess sebum (pore clogging oils). As someone who identifies as having combination/oily skin, I am really enjoying using the People for Plants Grapefruit Aloe Foaming Cleansing Gel*. It's bad, I know, but I really love a cleanser that foams up and this one does so nicely, especially when used with my Clarisonic Mia. The subtle citrus scent (pink grapefruit, as opposed to an artificial scent) is quite refreshing and, as the claims suggest, I find that this cleanser doesn't dry out my combination/oily skin, even when used morning and night. There's not much to say about a cleanser, purely because they're on the face for such a minimal amount of time but, as far as cleansers go, I really love the People for Plants Grapefruit Aloe Foaming Cleansing Gel*. I'm actually on my second tube (with a third on its way after picking it up in a Boxing Day sale), and I think it's a really great basic cleanser that does exactly what it claims to. No product in the People for Plants retails over the recommend price of $30.00 so it's a very affordable and accessible range, with the Grapefruit Aloe Foaming Cleansing Gel* coming in at $24.99. The People for Plants range is currently available from David Hones, Terry White, Priceline stores and selected pharmacies. What's your go to cleanser of the moment? Have you tried this or any other product from People for Plants? I've gone off foaming cleansers, mostly because they dry my skin out, but this one sounds pretty darn amazing! I've been using a PfP eye cream which I really like, and I should really check out more of their range! Grapefruit and Aloe sounds like and excellent combo! I think I shall have to put this on my wish list.